Looking for private in-home or in-studio Harmonica lessons? Our San Ramon teachers are ready to get you started. Find your teacher today! Check out some of our most popular teachers near San Ramon, CA including San Francisco, San Jose, Sunnyvale, Oakland and Palo Alto. I teach beginners how to get around on the harmonica, and how they can teach themselves. Learn your favorite tunes! Single notes, bends, fun riffs and melodies. My love of the blues and Stevie Wonder is what drew me to the harmonica, and I really enjoy sharing that. In the first several music lessons we establish overall music fundamentals. Good ears (notes), and good time feel (rhythm). We also get the basics of harmonica playing technique, and a song or two. After that, we expand into whatever music inspires you. All aspects of using the Blues Harp, Harmonica and How to use a Guitar and Harmonica together for full musical fun. Integrated approach so you can sing, play, and strum with ease. I have an earned Masters degree in music and enjoy teaching students of all ages. I am happily married with 5 children at home--4 of them are musicians as well (the youngest is 4).. Students will quickly learn not only the basics of music theory, but will be playing songs as early as their first lesson. It is extremely rewarding watching students have fun, excel, and fall in love with making music. I presently teach music at 3 schools (1 college) and only have a few lessons slots available. I look forward to working with you. I can help you get started on some of your favorite campfire songs, or playing along with a band as you learn the blues and rock and roll. I have loved music since I was a child. I began playing clarinet when I was 11 years old and slowly picked up new instruments like the saxophone, harmonica, guitar, ukulele, flutes, whistles, kazoo, and others. I enjoy any style of music and have a desire to learn as many instruments as possible. My line-up of new instruments to learn are: accordion, banjo, trombone, the cello. I love to teach and share my passion for music with others. My hope to is make people into learners of music proficient in learning any instrument they wish. Excellent experience. Learned a great deal on the first day. Hoping to get fluent in playing this instrument. Very professional and knowledgeable of music and playing the instruments. He is a wonderful teacher who is optimistic and truly works hard too bring out the best in his students. My daughter Aaliyah has learned so much in such a short time and we are greatful. Simply put, Andrew is the best. His genuine love and passion for all-things music was obvious the first day we met him. He is great with kids. He is flexible yet reliable. We love the fact that he tailors his lessons, homework, and incentives to the needs and interests of each individual student. We are confident that we could not find a better guitar instructor for our daughter. Can't find a teacher in San Ramon, CA? 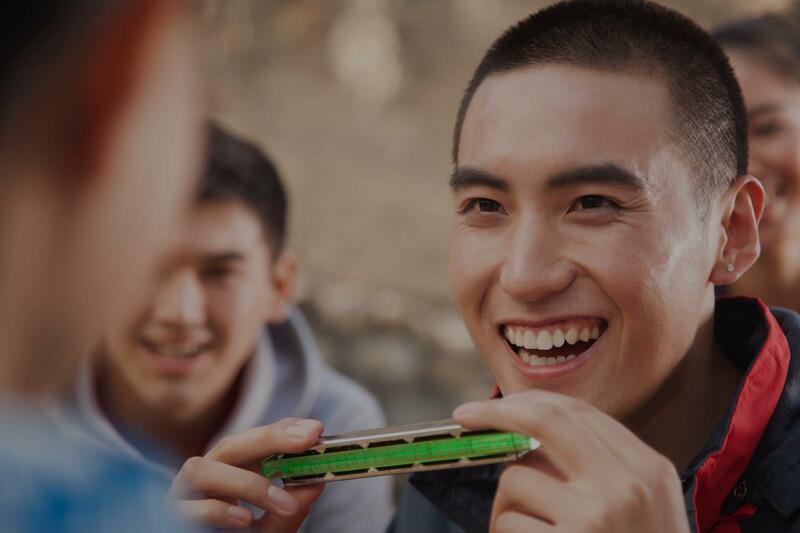 Students are raving about their Harmonica instructors on TakeLessons. Check out some of these recent reviews. San Francisco, CA teacher: Winslow Y. "Very good teacher; he wrote the book on playing harmonica." gnosed some issues and offered some helpful advice on how to address them. I came away with a much better sense of how to structure my practices to make them more productive and with some specific things on which to work." "Great lesson. Already sound coming from harmonica is better." f the mechanics of the harp and how to play it. He has literally written books on learning to play (Harmonica for Dummies, Blues Harmonica for Dummies). What I like about our lessons is that he's a great listener. He can hear where I need work and he offers not just one but often several exercises and riffs that address the issue. In addition, he knows the blues, the players, the songs, and the harp riffs for reference. To top it off his manner is light and warm. I feel honored to be learning from him." "I had fun and learn something new." "Great teacher. Knows where I am at and knows where I need to go."